The Luca Foundation has been set up in memory of Luca, who was born sleeping in June 2012. 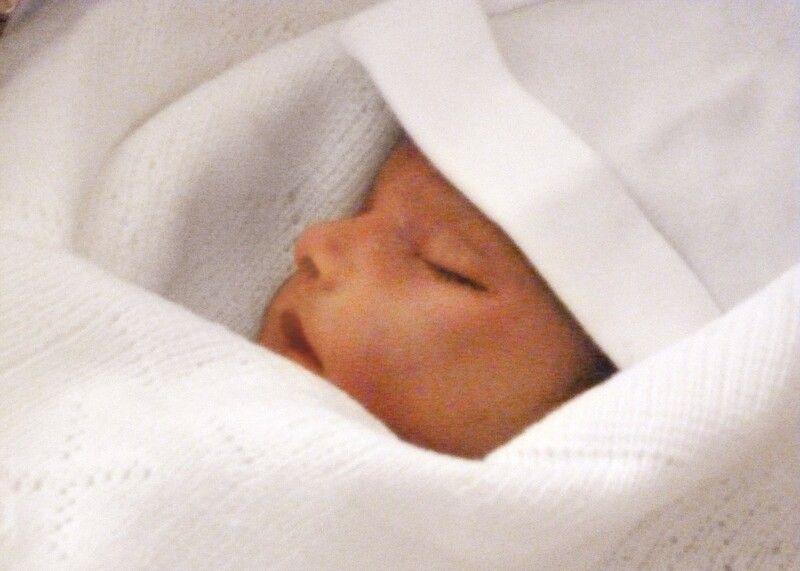 Its original mission was to provide a cold cuddle cot for every maternity unit in the UK, (there are 157 NHS Trusts with a number of units at present), to allow bereaved families more time to say goodbye to their angel babies. The cost of each cuddle cot is £1,500.00. We are finding, however, that where hospitals already have one or more cots in place in their units, they are requesting funding for training. In response to this, The Luca Foundation will also be raising funds to provide places on the Baby Lifeline Training courses ‘Implementing Saving Babies’ Lives: Prevention of Preterm Birth, Growth Restriction and Stillbirth’ and ‘Implementing Saving Babies’ Lives: Ultrasound Practical Day’ which maternity health professionals will be able to apply for. The courses are facilitated by leading experts in their field including Professor Alex Heazell and Mr Nigel Simpson and incorporates the elements of ‘Saving Babies’ Lives: A Care Bundle for reducing stillbirth’. “Our first child, our son Luca, was stillborn June 2012. A parent’s worst nightmare is to lose their child. We were beyond devastated, our world had fallen apart. From the moment he died on the Monday inside my womb, on the first day of my maternity leave, to the Thursday when I gave birth to him naturally, everything was a daze. He was perfect. There was nothing wrong him nor me. We were not ready for the next blow….the limited time we had to hand him over knowing that we would never see him again. Luca stayed with us overnight in a family room, however the next morning we were told we did not have long left with him as his little body was deteriorating. After holding on to Luca as long as we could, we had to hand him over to be taken to the mortuary. This broke us even more and caused such trauma as we cried uncontrollably knowing we would never see him again. Had we had a cold cuddle cot, we could have stayed with Luca for up to two more days. This would have meant that we could have taken him home and allowed his grandparents to hold him. We would have had time to think a little clearer and I would have taken photos of him in my arms. These are the regrets we now live with. Our relationship with Baby Lifeline started soon after Luca died. We had heard of the charity as it provided equipment to maternity units to monitor pregnant ladies. When Luca died, many people said they’d like to do something for us financially. We decided that the money raised by our neighbours, family and friends should go to a good cause in Luca’s memory….hence why we chose Baby Lifeline. When I fell pregnant the following year with our second son I was monitored more frequently and closely. The equipment that was used to monitor me was donated to the hospital by Baby Lifeline. It made me smile to think that this could have been provided from our donations made in Luca’s memory, and now he was monitoring his younger brother for his safe arrival into the world. We are very pleased to be working with Baby Lifeline and wish to raise funds for other bereaved parents. From our own personal experience we want to ensure that other parents across the UK are given extra time with their children in these devastating times. It is so important for their mental health to know that everything has been done to support them during such a dark time. We need your help to enable us to donate a cold cuddle cot to each maternity unit in need of one across the UK, and to fund valuable training for maternity health professionals to help prevent stillbirth. It is a very sad fact that an average of 15 babies die every day within their first four weeks of life, and whilst Baby Lifeline is working to reduce the number of baby deaths, we also want to ensure that measures are in place for families suffering from baby loss so that they are given much needed support and precious time with their angel baby. Thank you for reading this and we hope you can help our cause. Click here to make a donation on The Luca Foundation Just Giving page.